Magnificently theatrical and bursting with invention, Christopher Wheeldon’s full-length Alice brings to life the vivid visions of Lewis Carroll’s classic book. Wheeldon, The Royal Ballet’s resident choreographer, has delighted Australian audiences with After the Rain© and DGV©: Danse à grande vitesse. 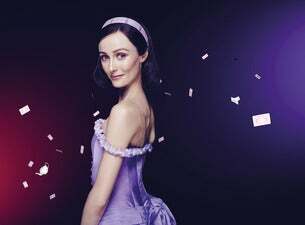 Alice, his biggest ever story ballet, has an exhilarating, melodic score by Joby Talbot and ingenious designs by Bob Crowley, who worked with Wheeldon on the Tony Award-winning musical An American in Paris. Wonderland is brought to life with puppetry, eye-bending illusions and playful costumes as Alice meets the Cheshire Cat, the tap-dancing Mad Hatter and the imperious Queen of Hearts. Curiouser and curiouser … Alice’s quest to save the dashing Knave of Hearts leads her into strange adventures and dreamlike landscapes. Blending the thrills, laughs and spectacle of Broadway with Wheeldon’s rigorous balletic style, this Alice is a witty, whimsical extravaganza that takes you to the furthest flights of fancy.